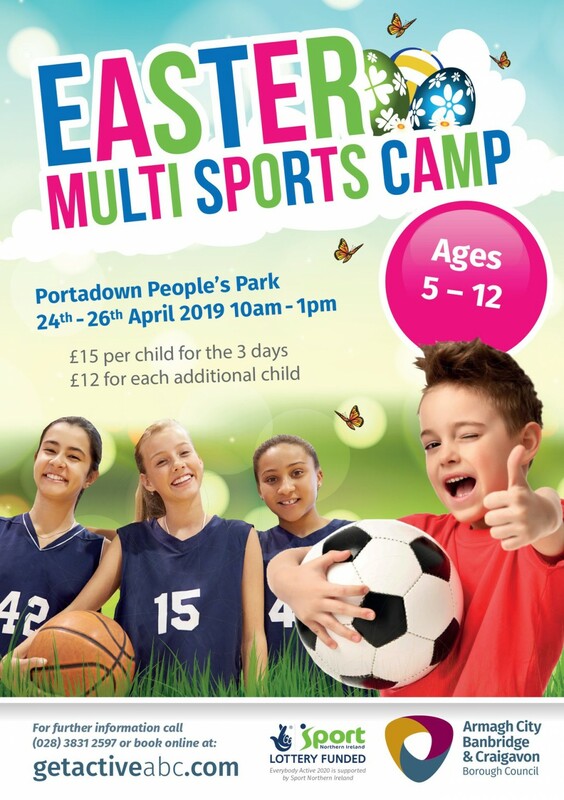 Young fitness fans are in for a sporting egg-stravaganza this Easter thanks to a marvelous Multi-Sports Camp taking place in Portadown Peoples Park. For ages 5-12 years. Participants are asked to wear trainers, appropriate sports clothes and bring a snack and a drink each day. 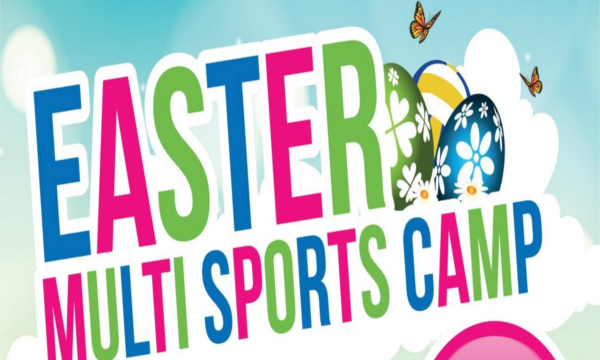 So whether you are a fitness fanatic keen to get to grips with new sporting activities or simply want to combine exercise with having fun with your friends, why not get the ball rolling and join the winning team at the Easter Multi-Sports Camp. The Easter Multi Sports Camp is organised by Armagh City, Banbridge and Craigavon Borough Council and is being run as part of Sport NI’s Everybody Active 2020 project. 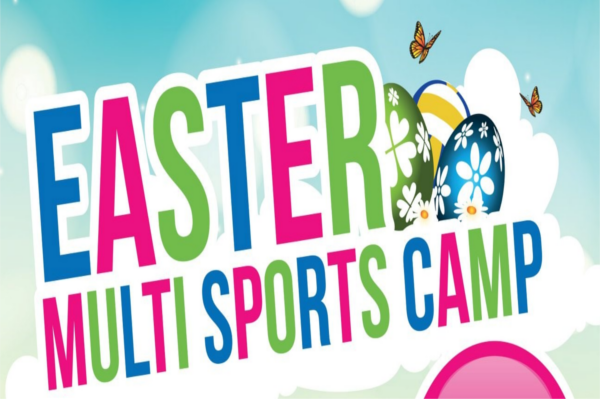 This years Easter Multi Sports camp will run from 24th – 26th April 2019 in Portadown People’s Park. The Multi Sports Camp will run from 10.00am – 1.00pm each day. The cost is £15.00 per child for all three days and £12 per each additional child from the same family. Participants are asked to wear trainers, appropriate sports clothing and bring a snack and a drink each day. To book your please, please see the booking system below or call 028 3831 2597.